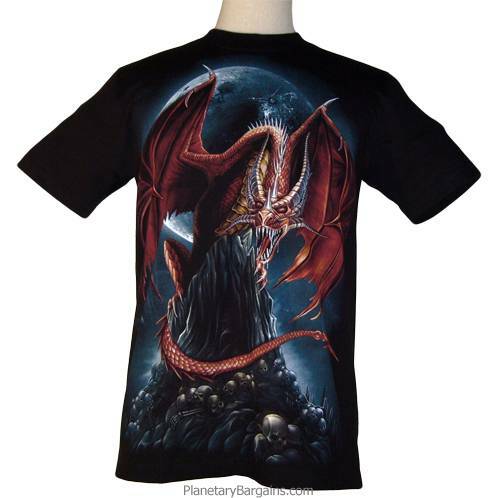 Own this 100% Cotton Mountain Dragon Moon Shirt from Rock Eagle. This very cool original art t-shirt is of top quality new materials, preshrunk, and machine washable. To buy one of these limited quantity shirts press the orange button above now.